The Learning Commons (LC) supports student achievement and success through a variety of services, spaces, resources, and partnerships. We comprise the lower three floors of Bird Library. 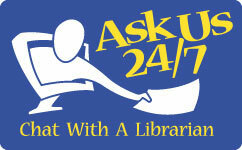 Find us in person at our service desks or online 24/7 via chat, text, or email. During open service desk hours, you can call the Information Desk for research assistance or call the Helpline for help in Bird library.